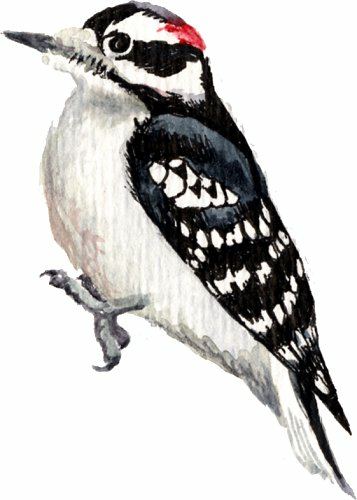 GigaDB Dataset - DOI 10.5524/101012 - Genomic data of the Downy Woodpecker (Picoides pubescens). Genomic data of the Downy Woodpecker (Picoides pubescens). The Downy Woodpecker (Picoides pubescens (Linnaeus, 1766)) is the smallest of its kind in North America. It uses a number of vocalizations, including a short 'pik' call and produces a slow drumming sound while it pecks into trees compared with other North American woodpeckers. These data have been produced as part of the G10K and Avian Phylogenomics Project. DNA was collected from a vouchered tissue sample (B-21955) from the Louisiana State University Museum, of a female caught in Marcum Mountain, Cowell County, Montana, USA. We sequenced the genome to a depth of approximately 105X with short reads from a series of libraries with various insert sizes (170bp, 500bp, 800bp, 2kb, 5kb, 10kb and 20kb). The assembled scaffolds of high quality sequences total 1.17Gb, with the contig and scaffold N50 values of 20kb and 2Mb respectively. We identified 15,576 protein-coding genes with a mean length of 20kb. Sample source:Montana, USA: Cowell County: Marcum Mt.